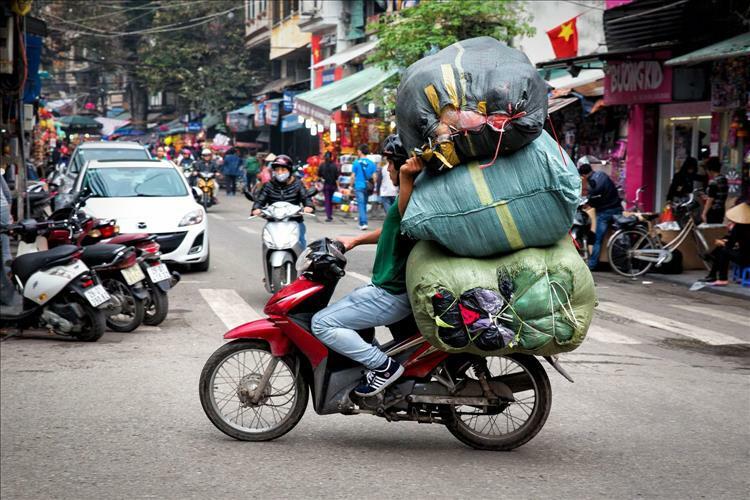 How many of you reading this will know the maximum load (or maximum gross vehicle weight) of your motorcycle? I suppose being BAT readers you're probably a little more aware that there are such things as rules and regulations. It's quite likely you'll understand that there are maximum load details and some of you may even know specific numbers for your specific machines. However I suspect most motorcyclists don't know. 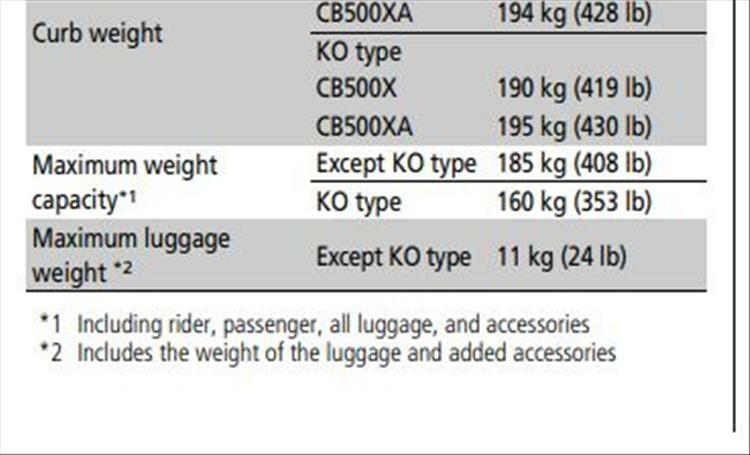 My CB500X has a maximum weight capacity of 185kg. This includes the rider, the passenger, accessories and any luggage. That means anything that was not originally on the bike when it came out the factory. Therefore as the bike weighs 195kg at the curb the gross vehicle weight will be 195 + 185 = 380kg. 11kg of luggage? Crikey that's a tent and a change of undies. I weigh about 80kg. With my bike gear on I weigh 90kg. I know this as I weighed myself on shipping scales fully winter kitted. I have crash bars fitted and a Givi top-box, I'd estimate another 5kg. This means I can carry a further 90kg on my bike. This is fine for camping, I probably carry around 50kg with tent, clothes, stove, pans, food, tools and all that. But imagine if I were 2-up? Sharon is 50kg wet through and fully kitted I reckon, but that would leave only 40kg for our kit. Yikes! Just a little luggage for our little trip to France. This was taken before Sharon had her own bike and we went around France for 3 weeks. The Fazer FZS600 has a maximum load of 187kg. I'm 90 leaving 97kg. Sharon's 50 leaving 47kg. That bike had crash bars and top box, 5 leaving 42kg. I'm pretty sure that much load is more than 42kg. But did I get arrested? No. This is one of those things that only causes problems when there is a problem. I could have been pulled by the Gendarmes and if the mood took them been dragged to a weighbridge. Much more likely though is if I'd been involved in an accident. My fault or not the overloading would have been used very much against me. I can hear a lawyer, in French, saying "While my client did indeed pull out in front of Mr Withnell, as Mr Withnell's bike was 22.5kg over maximum permissible vehicle weight that is why Mr Withnell did not stop in time..." Of course this would be spoken in a comedy French accent. So what kind of motorcycle do you need if you plan to go camping 2-up? I know! The FJR1300, that's a big old beast of a bike, that should be fine. 212kg carry weight. It's more than my 500 and the Fazer 600, but it's not a lot more. I reckon Sharon and I would just about manage but myself and say my son? Myself at 90kg and my son at about 100kg would leave only 22kg for luggage. That's not enough for camping. Better, but not exactly plentiful. If you and your pillion are, shall I say, well built then even without luggage you may already be over the maximum load weight on some motorcycles. Even on larger machines it would be all too easy to throw on some luggage and exceed the specifications. Everything will be fine - until it's not fine - then it will become a problem. Triumph Trophy will accommodate 239 kgs. Looks like I'll need one if the Mrs and I are ever going camping. Although fully loaded it would be well over half a tonne. The Pan is a heavy beast at 287 kg dry. With fluids and top box at least 300 kg I would think. Maximum weight capacity is 201 kg. Besides the already very scary figure of 501 kg loaded with rider and pillion, I suspect it is probably nearer 520/530 when in full touring loaded up trim. I mean how much does just the bike kit weigh? HOW DOES IT GO AROUND BENDS. And the other funny thing is we moan when we only get 7000 miles out of a set of tyres, those little contact patches must be working blummin hard. Off to buy some lettuce............... For the rabbit. 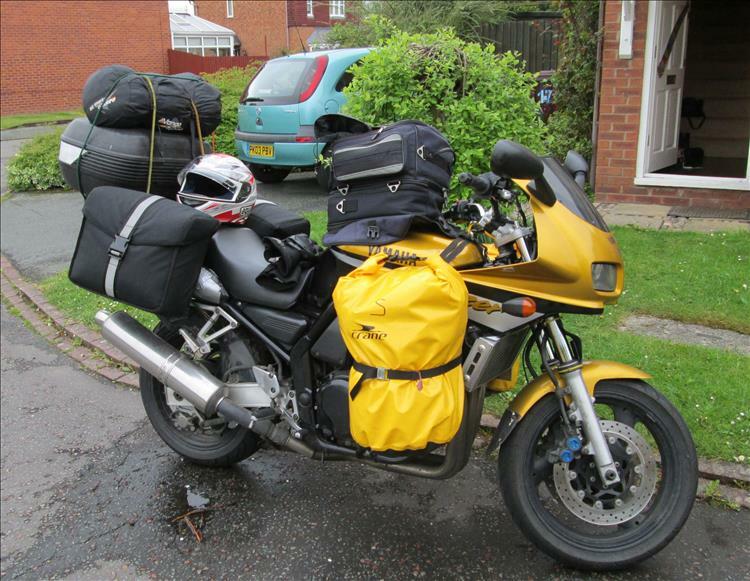 The Himalayan has a max loading of 173kg, take off about 78 for me and 10 for the panniers and frames and your down to 85. 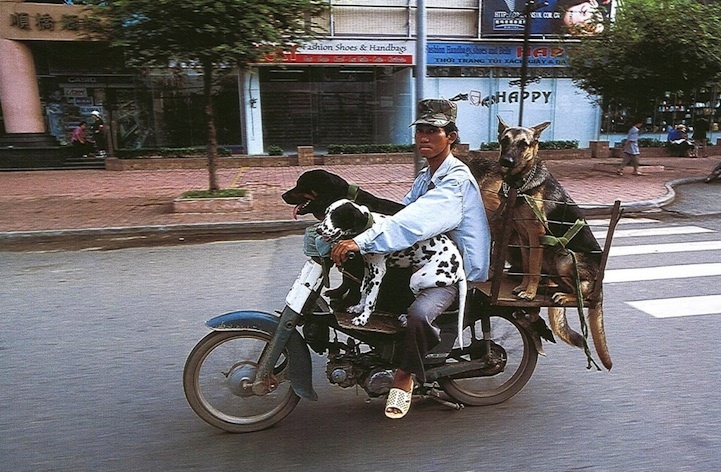 Good job I dont carry a pillion. If SWMBA was with me then we might manage a small tank bag as luggage. I think that you are not taking into account that you can tow up too 150kg behind the bike! Jim that Trophy must have one of the largest capacities I'm aware of. Upt'North yes that's half a metric tonne going through 2 little bits of rubber. And people wonder why I'm so careful. And yes some lettuce for both YOU and the rabbit would be a good thing. However I would think twice before suggesting the good lady Upt'North goes on a diet. I still have the scars. Borsuk maybe Mrs Borsuk needs her own bike too? Rod towing is a good idea. 150kg? I thought it was a ratio of the bike's curb weight? Also consider that towing with a motorcycle is illegal in some countries, others have different regulations regarding weight and size. The Himalayan would of course carry a full family along with all the shopping a sink and goat or two in India without any problem. But of course you would save weight as no one would wear a helmet. Oh and a friend who needed a lift on the handlebars. 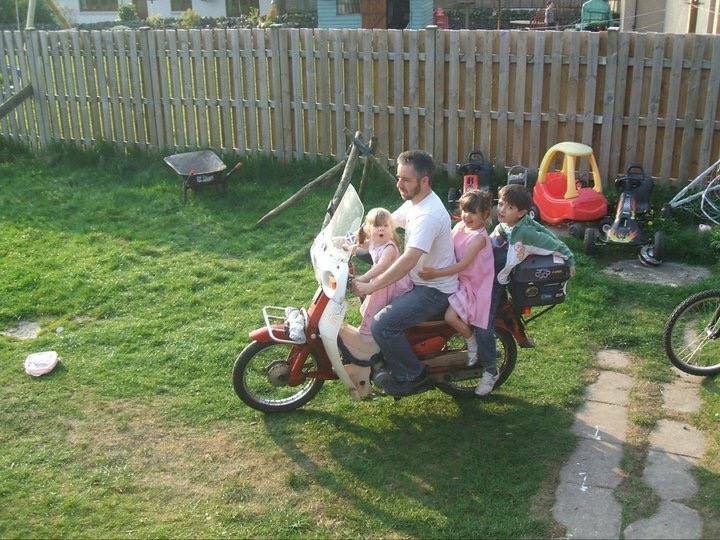 Yes, how many images do we see of the whole family on a Honda C90. At least he doesn't need the weight of an alarm. Yes Ren, The amount of weight you can tow is 66% (two thirds) of the bikes weight, and a maximum of 150kg. This is why I wrote "up too 150kg". Yikes! There's a small part of me that envies the "freedom" of countries not weighed down with over-zealous regulation. Then you see the mortality and injury rates of these same countries and despite not wanting to be nanny'd I start to understand why things are the way they are. It's a balance thing. Aaaaaah good man Rod. Right - off to figure out how to make the world's ugliest function towbar for a CB500X. 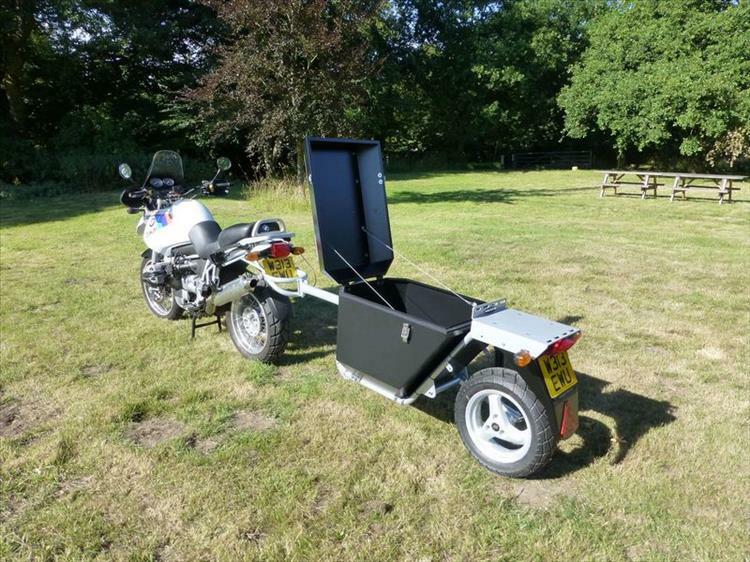 I'd do it for the 125 but here in Blighty the towing motorcycle needs to be over 125cc. Dagnammit! Ed, whilst not trying to stop your brain cells from whirring around, I wouldn't bother apparently all you do is nail it to your number plate, I suppose you could use a bit of that 2 x 1 as a strengthener if you haven't burnt it over winter. As the trailer restricts your speed to 50mph/60mph it would make more sense if the law allowed to fit the trailer to the 125. I feel a trailer would restrict your riding more on the 500. I have a few bits of 2 by 1 left Upt'North. I'm too tight to even burn my own offcuts of wood to stay warm. I'm not sure my number plate is strong enough to hold the weight of the towball let along the trailer. I guess there's only one way to find out. Sharon! Pass me the screwdriver. Rod - Yes of course the trailer limits speeds to 60 on the motorway and 50 on the A-roads. Mind you that doesn't seem to concern lorries, caravanners or farmers with sheep in the trailer behind the Land Rover. Go figure. Mrs Borsuk is an ex biker and wants to stay that way. She has been approached about doing her test etc but is not interested. One of her sisters has her full license but not had a bike for a long time and another sister is a frequent pillion on her hubbies BMW Cruiser. She took me to task about the unsuitability of the bikes I was thinking of getting for carrying passengers. I think she could tell most manufacturers a thing or two about what a pillion passenger really needs against what they provide. I´m pretty sure Sharon can as well. I have 4...one's following on his bicycle....well this was 9 yrs ago...so kinda grown up now! 4 kids! Dude you need a TV. I'm guessing they'll be teenagers now, Oh heck. I think I read the spec for the Himalayan wrong. I was taking the weights from the matriculation papers which are of course in Espanol, from the English hand book the maximum PAYLOAD is 365Kg, not the maximum gross weight as I thought. Seems I have quite a bit of carrying capacity, fully loaded it would be a gross weight of 557kg. I don`t think I will ever load her that much, would be terrified to try and move the damn thing. The Interceptor has a max payload of 200kg. I think there is a mistake in the manual. In US they state 372 Lbs, got a feeling theres a typo, someone forgot to convert to Kg before putting it in the book. Thank you Borsuk, I'll take the typo, and I'm off to start a Donut and Cream Cake diet ASAP. 365kg!!! 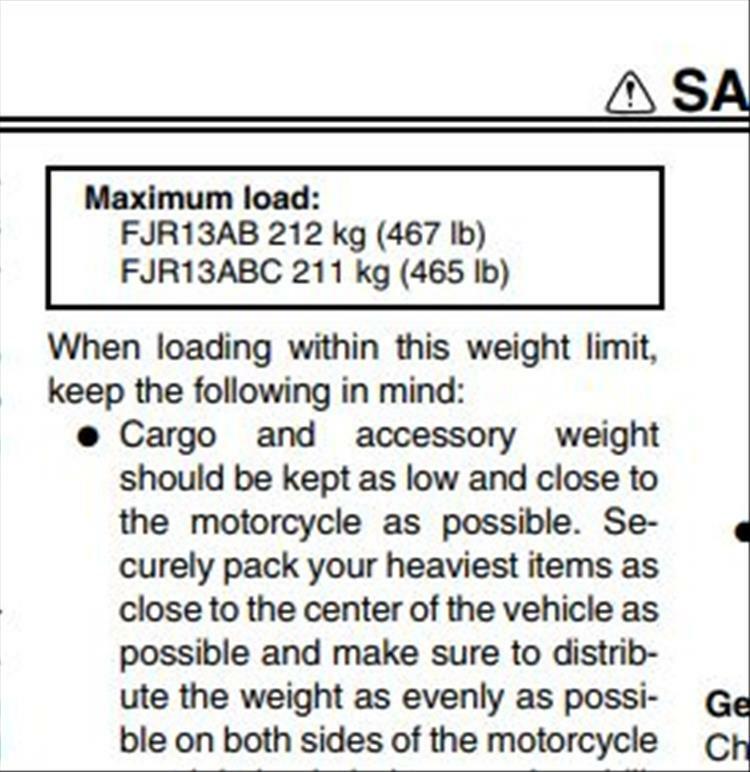 Wowsers, that means you could transport my CB500X and yourself on the Himalayan. Pounds would make a lot lot more sense. However how were you to know it was a typo? You can carry ALL our luggage next time we're going anywhere.